Many zoos provide enrichment and quality of life for the bats in their care and and take the time to neuter males bats to prevent excess reproduction. However, most do not, and bats suffer the consequences. Because of the lack of population control in bats housed in zoos across the US, the animals suffer from over crowding, abandoned babies, lack of enough food and flight space and even early death. 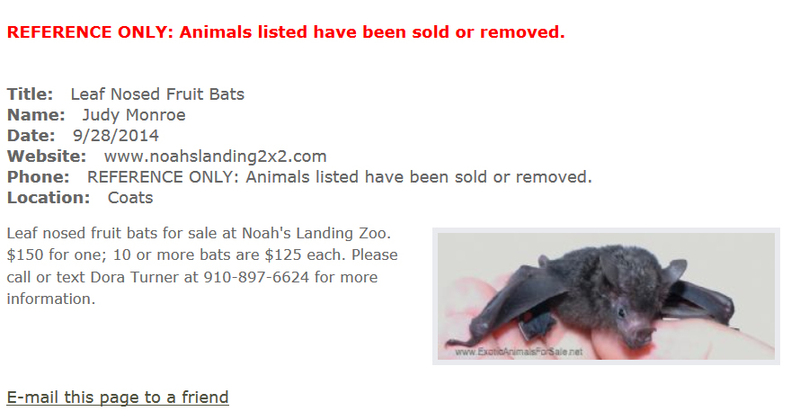 In an effort to control excess populations, some zoos resort to culling, supplying bats to research (where they are ultimately euthanized) and even supplying unscrupulous pet trade dealers with bats that bred in cramped cages. 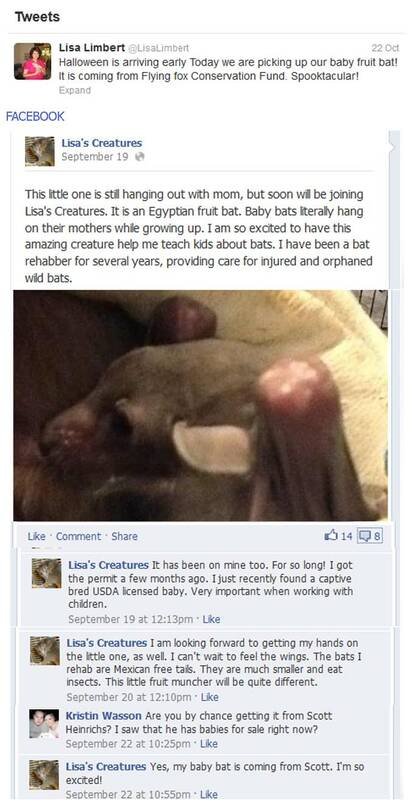 Babies are ripped away from their mothers and then sold at hundreds to thousands of dollars to the unsuspecting public, because these bats typically die within their first year when kept as pets. 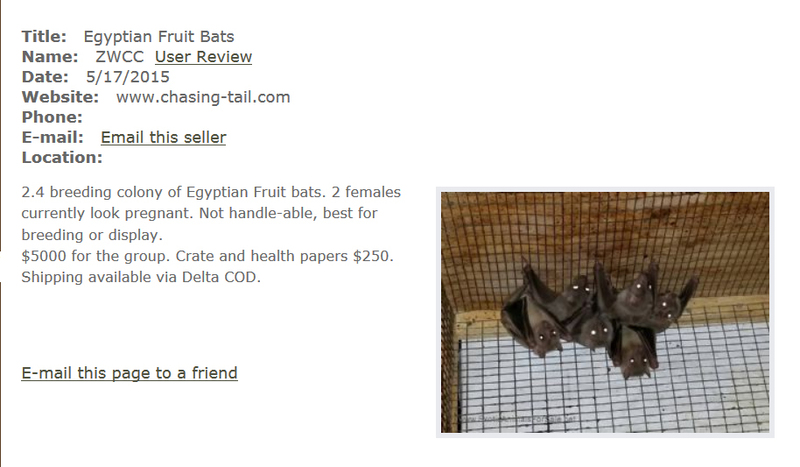 Two Egyptian fruit bats kept as pets. Sadly, one did not survive to be rescued. Bats are not disposable commodities, they are thinking, intelligent beings who develop strong -and even lifelong- bonds with family members. Bats are capable of living 25 years or more when provided with a proper environment and care. 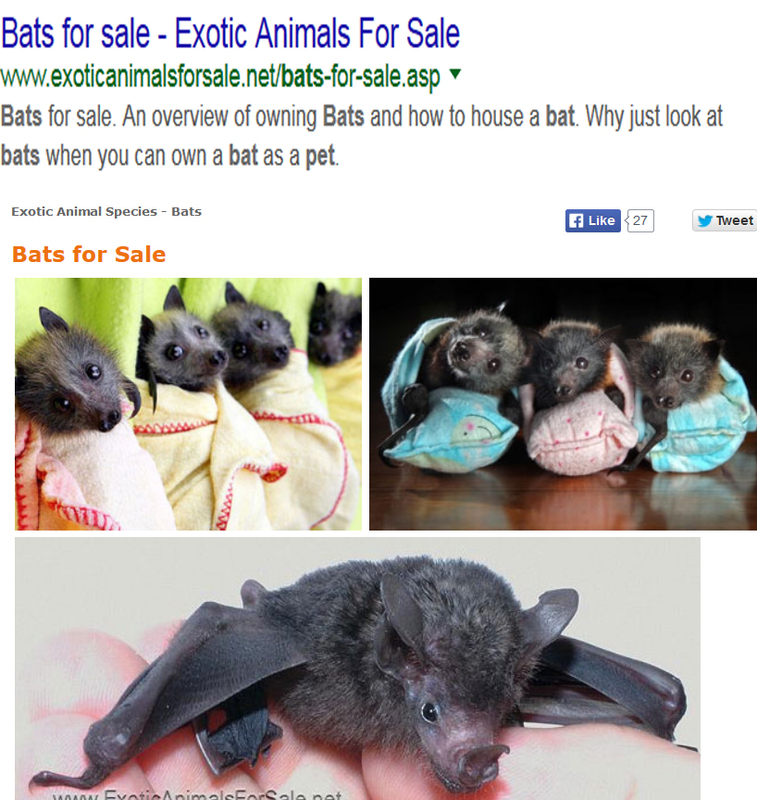 Bats in the pet trade generally die within the first years due to loneliness, depression and lack of proper care. 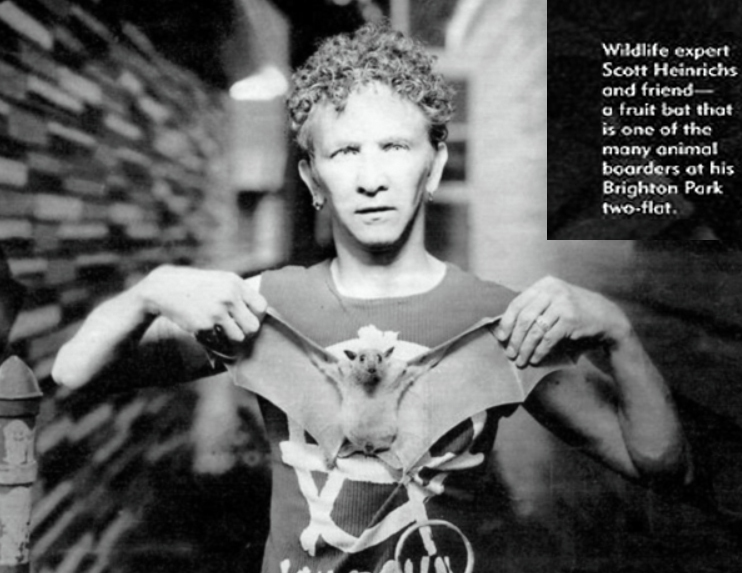 Please sign the petition urging the Association of Zoos and Aquariums to immediately stop pushing bats into research and the cruel exotic pet trade, and to neuter all surplus male bats as well as provide an enriched lifetime of care for every bat in their possession.